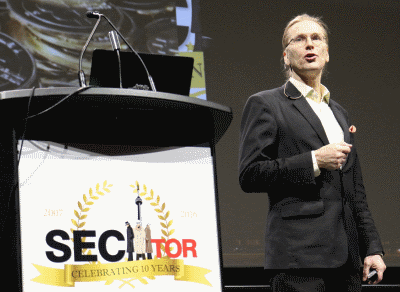 Ransomware is such big business that security vendor F-secure is tracking 110 gangs making money from the malware, the company’s chief research officer has told annual SecTor cyber security conference. Things are so bad that a number of organizations are buying digital wallets with Bitcoin as protection for the day they are infected – and their willingness to pay ransoms only makes things worse, Hypponen added, because the more victims that pay the more attackers are encouraged. It was a typical performance from the opinionated Hypponen, who gave a vigorous lunch-time address ranging from foreseeing Internet-connected toasters (Why? Because chips are cheap. However, they’re a backdoor to home – and possibly corporate – networks) to the stupid things people do (Like put a photo on social media of the new credit card they got because they like the bright colour. And yes, the person was also willing to tell the world their CVV number …). –On passwords: “Passwords shouldn’t be a problem anymore in 2016” but they are, he said in his speech. –On the Internet of Things and industrial control systems (ICS). They mean computers are now in homes and factories, he said, but there are devices online that shouldn’t be due to misconfiguration and stupidity. Break into them and huge distributed denial of service (DdoS) bots are created. CISOs should worry that an IoT coffee pot or light bulb will be the weak point in a network. Finally, advice to the infosec pros in the audience: You cannot defend all parts of your network all the time, he said. “Instead of trying to keep all the attackers out all of the time we really should be focusing on resiliancy, being able to continue operations even when there is a break. 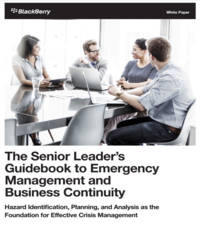 Focus on detecting the breach and recovering from the breach.